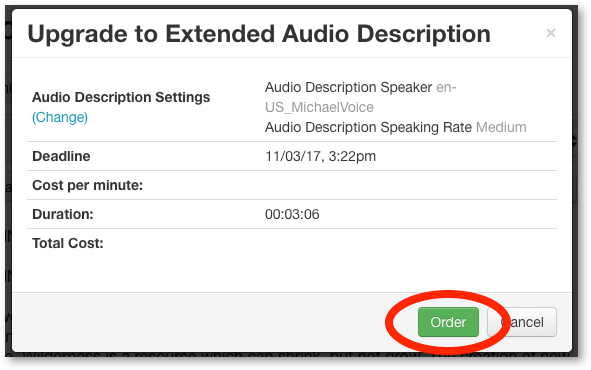 If you submitted a file for standard audio description and decide that there was not enough room to sufficiently describe the visuals in your file, you can easily upgrade to our extended audio description service. 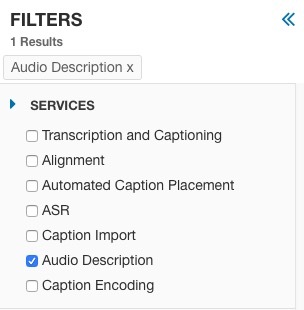 Extended audio description pauses your video when necessary to allow for longer, more thorough descriptions. 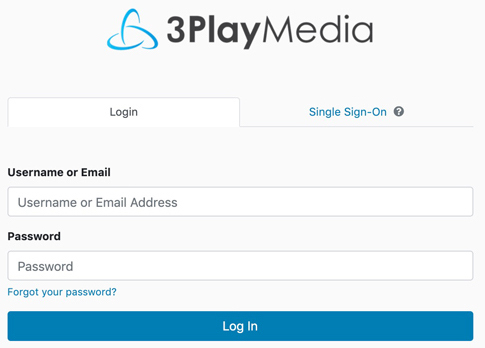 To avoid having to reprocess your file in the future, consider using 3Play's recommended service level and/or reviewing the visual load of your file before submitting for description. Navigate to Audio Descriptions Complete, then click on the file you want to upgrade. In the file view, navigate to the bottom right of the screen to see the Audio Description options. Click Upgrade. Review your upgrade and click Order. If you don't want to order an upgrade, click Cancel. Your upgrade will show that it is In Progress in the Audio Description section of the file page. 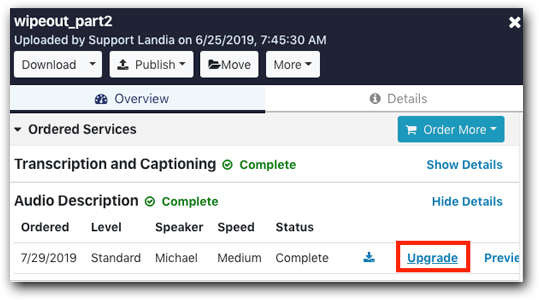 Once your upgraded description is complete, you'll be able to preview, edit, and download your extended description files. You'll still have access to your standard description files, as well.